How do you know if what you’re doing to improve your health is working? If you’re not tracking your changes, it’s nearly impossible to understand. 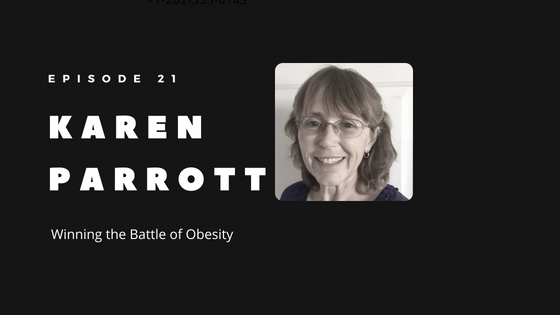 Karen Parrott overcame her lifelong struggle with obesity through a low-carb diet using data-driven tracking. She supports her weight maintenance by continuing to track her progress with Heads Up Health, where she can link all her data and see what’s working and what isn’t. A Clinical Laboratory Scientist, Karen Parrott is also a single mother who works full-time and commutes 2+ hours. Yet Karen managed to take control of her health after struggling with her weight for 40 years. After yo-yo dieting and stress-eating for some time, Karen realized she’d have to make some changes if she was going to turn her health around. When she was diagnosed with pre-diabetes, Karen decided it was time to take her health into her own hands. She began tracking her health data and became her own advocate for testing. Through diet, tracking and lifestyle changes, Karen has successfully lost over 70 pounds — and kept it off — for 6+ years! Listen to Karen’s interview with Dave Korsunsky, founder of Heads Up Health, as they discuss her health journey, nerd out over her numbers via the tracking she’s done through apps connected to Heads Up Health. Karen blogs at www.gardengirlkp.blogspot.com, is active on Twitter and Instagram, and shares her photography work on Instagram under a separate account. This podcast is brought to you by Heads Up Health, a web app designed to help you centrally track all of your vital health data. Instantly synchronize your medical records, labs, or connect your favorite health devices like the Oura ring or Keto Mojo and apps like My Fitness Pal and use your data to optimize your health!